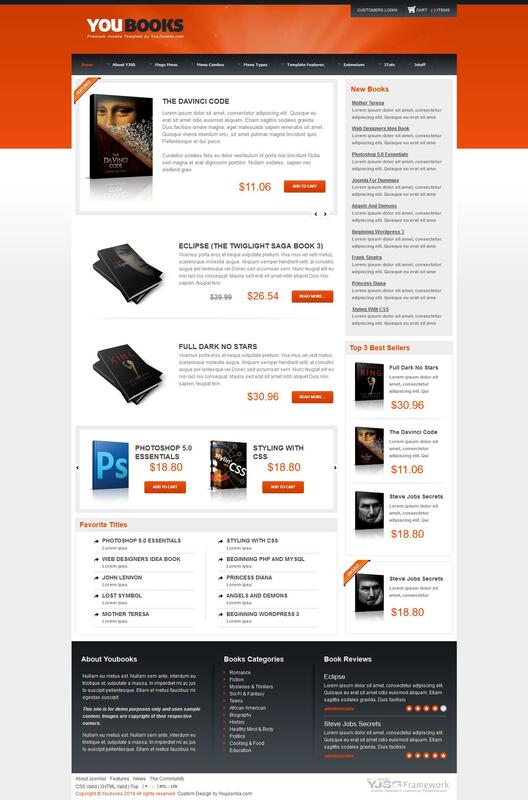 New template YJ Youbooks for internet commerce from the famous studio YouJoomla has a nice interface for buyers and is built on the framework, studio YjSimpleGrid. It is also worth noting that the pattern YJ Youbooks thanks to the work on the basis of the modern framework YJSimpleGrid Framework, that allows developers YouJoomla template supplied excellent control panel where you can easily customize every detail of the website (setting column widths, colors and design variations fonts ). The template has the full support of components K2 and VirtueMart, comes with 4 skins and 54 module positions.